Five Ideas to Feel Happier! Everyone is chasing happiness, in one form or another. 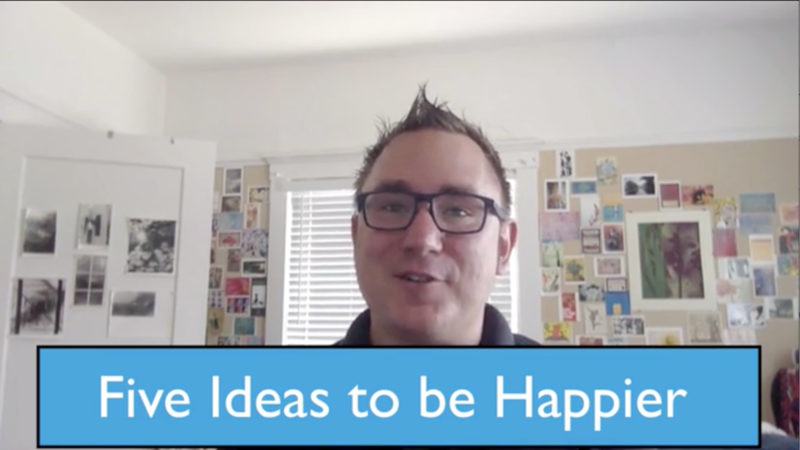 So, his week's video go over my five ideas to be happier! Having struggled with depression a bit earlier in life, I keep going back to these five ideas to course correct when life gets hard, or when I need to change my mindset. Before I share my five ideas, what are your ideas on how people can be happier? Take a few minutes and write down what you think. I would love to hear your ideas, so please post them below this video in the comments section! Ok, now to the good stuff. There is more context in the video above, but here you have it folks! The five ideas that help me course correct when I feel a bit down.